Moving to another location is not always as simple as it sounds. Believe it or not, there are many aspects to a move that individuals sometimes forget, with disastrous consequences. When you don’t feel well, you visit a doctor. If you need a car fixed, you take it to the shop. When you are moving your household, it is smart to contact and hire a mover or moving company. People usually look forward to moving to a new place but never relish the moving process. Moving can be difficult because there are many tasks required that need to get done within a certain deadline. What are some of the factors that make moving difficult, whether it is a local move or a long-distance move? Most people who need to move have deadlines to meet. A lucrative job offer has come up and you need to move quickly or maybe you found a great house you need to move into before it gets taken by someone else. Whatever the reason, time is of the essence and you have to finish packing all your stuff in limited time. If you don’t really have a lot of people to help you with the packing, dissembling of furniture, and lifting of heavy appliances, then you have a major problem in your hands. You can risk hurting yourself or damaging your belongings if you insist on doing it yourself. If you are making a long distance move, a five-hour round trip for each load can be too much to ask of anyone. Professional movers have the manpower and the expertise to ensure each load is maximized and well organized so that your belongings don’t get damaged. You can save time and money by hiring movers to do the job at a faster and more efficient manner. Let’s face it; if you ask a friend to help you move and he breaks your TV or damages the sofa, it would be awkward to ask for reimbursement. By hiring professional movers, you are certain that the company will be accountable for any damage due to accidents. Check the company’s insurance cover and study your options for additional insurance for extra protection. Moving involves loading and unloading heavy boxes, furniture and appliances. Not everyone is cut out for heavy lifting. You can get professional help and save yourself the burden of heavy lifting. Many people forget to consider one important thing when planning how to orchestrate a move – SAFETY. Cost is important but not as important as getting your family and your belongings safely to your new location. Professional movers are experienced in navigating roads and driving a truck loaded with heavy cargo. How to Lower Your Moving Expenses by 30%? Do you want to lower your moving expenses by as much as 30%? You can easily do this and even eliminate the work you need to do by yourself. It makes a lot of sense to save money and effort when moving and only people who like pain and stress will resist the idea. 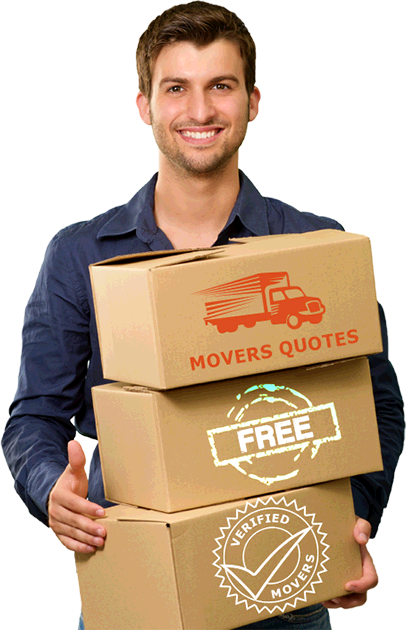 The only thing you have to do is to request for free moving quotes and you can lower your moving expenses tremendously. Many people think they save money when they move on their own. The fact is that you spend three to four times more time getting things done when you do it yourself. The longer you take in packing, loading, unloading, and transporting your boxes means more money lost. You don’t need to take days off from work just to get organized for your move. By hiring professional movers, you can also avoid costly interruptions to your work or business. In addition, moving on your own means going back and forth to your old and new address to transport your stuff. The time wasted, not to mention gasoline and your energy, can all be saved with a single trip executed by professional movers. You may be spending more money doing it on your own. Request for your 5 free quotes today and save a lot of time and money down the road. Professional moving companies can get the job done for less and in half the time. How Moving Works When you Hire Professional Movers? High quality moving services are in high demand because people realize that nothing beats timely and professional house moves. The process begins as soon as you request for your free moving quotes and you schedule your in-home estimates. Professional movers can visit your home so they can assess the size of your move and the things and crew needed to organize your move efficiently and as economically as possible. A visual survey will enable them to tell you how they will execute your move and provide you with accurate moving costs. As soon as you have your written estimates from your chosen companies, you can interview them to clarify the details of your moving package. You have the option to get a complete moving package or specific services, depending on your needs. When you have made your final choice for a moving company, they will schedule your move and ensure that everything is ready on moving day. All of your fragile belongings will be carefully packed and loaded onto the trucks, your boxes carefully labeled, so that it is easy to unpack when you arrive at your destination. On moving day, your moving crew will arrive at your preferred time and get your belongings safely and conveniently to your new location. Whoever said moving can’t be accomplished fast and effectively never worked with a professional moving company. When you choose to work with the best moving companies, relocating to another city or country is stress free and affordable. How to choose your professional moving company? We know that it is difficult to decide which moving company to get when there are so many great ones out there. We make it easier for you by sending you 5 free quotes from the most suitable moving companies based on your type of move, size of move and location. We understand that it is very important to you to hire professional movers that will get the job done as efficiently but as economically as possible. We have carefully researched the best moving companies to recommend so you don’t waste time in doing the research yourself. Asking for physical inspection to get accurate and binding quotes. It is quite difficult to provide specific and accurate details over the phone such as your home inventory, moving obstacles like high stairways, narrow elevators, or narrow doors. A physical inspection will allow movers to assess your situation and make the best recommendations. They will also be able to give you a more accurate cost for your move. Many professional moving companies can offer you lower cost depending on factors like time of your move, day of your move, and size of your move. You can try to negotiate your moving cost so you can pick the most affordable moving company. Moving companies send relocation experts to you because they have the knowledge and experience to assess your needs and recommend the best ways to economize your move and make it efficient. You can reduce your moving costs by being flexible about your moving dates and time, listening to good advice about packing and logistics, and asking them for solutions to potential problems. A good way to cut down your moving cost is to minimize the size of your move by getting rid of things you stored for a long time but don’t really need anymore. Many moving companies also offer freebies to their clients that can add more value to your money. Some of these freebies include free moving supplies (may depend on the moving package you select), free waste/junk disposal, free insurance cover, relocation assistance and more. While we make sure to give you moving quotes only from the best moving companies, you can determine the most suitable movers to hire by properly understanding moving services, asking important questions from potential movers, comparing rates, negotiating costs, and taking advantage of any freebies you can get. Moving on your own is enormously tiring, financially debilitating, and mentally draining. Before you take on this self-punishment, you should really sit down and consider these 10 reasons to hire a mover or a professional moving company VS moving yourself. You can do yourself a favor by comparing moving quotes from professional moving companies so you can get a clearer idea of your best moving options today. You can save money when you move without doing all the work yourself. Click to get free moving quotes and hire the most affordable moving companies online without engagement for you.